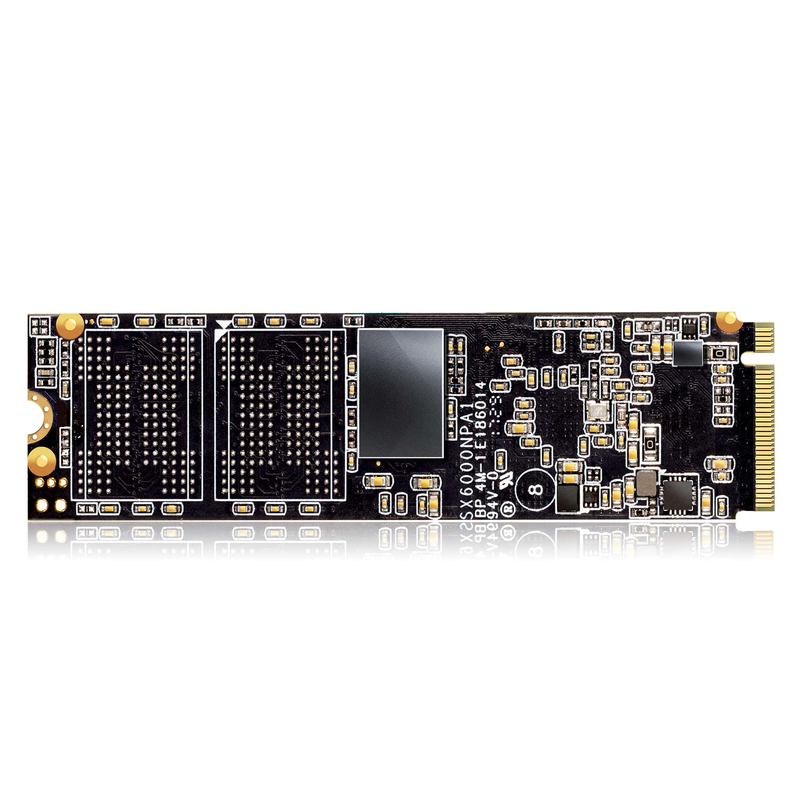 The XPG SX6000 combines superior speed and a better cost-performance ratio in a compact M.2 2280 form factor. It's great for gamers,PC enthusiasts,and video rendering professionals and perfect for anyone feeling the need for speed and thus an upgrade from traditional SATA SSDs. Utilizing a PCIe Gen3x2 interface,the SX6000 reaches read/write speeds of 1000/800 MB per second for faster boot,game downloads,and data transfers. NVMe 1.2 qualified,the SX6000 delivers superior random read/write performance and multitasking capabilities. It implements 3D NAND Flash,which provides storage density up to 1TB and improved reliability compared to 2D NAND. With support for SLC Caching and DRAM Cache Buffer,the SX6000 maintains optimized performance and data integrity during even intense gaming,rendering,or other high-demand applications.